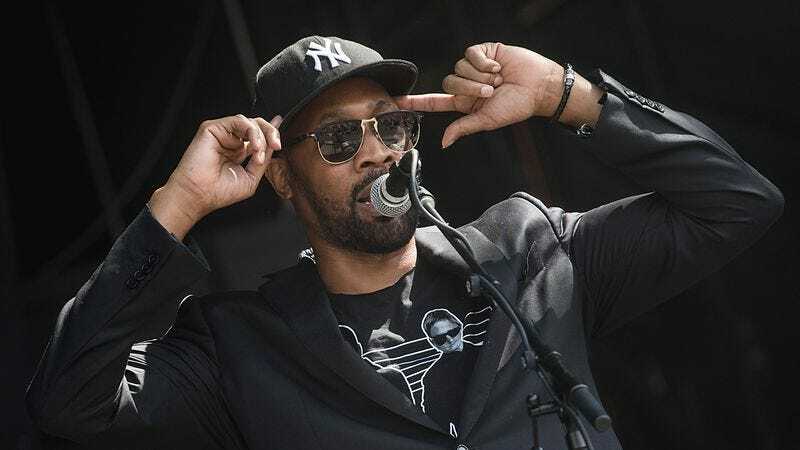 According to Pitchfork, Wu-Tang founding member and media multi-hyphenate RZA is launching a new menswear clothing line, 36 Chambers. Collaborating with marketer Mustafa Shaikh, the line promises a wardrobe for those looking to embody “hip-hop, Chinese culture, and high fashion.” The venture will begin by offering men’s jackets, shirts, bags, and accessories, and a souvenir jacket for the ladies. According to a press release, 36 Chambers will be open for business November 18, with popup events rolling out in December. This isn’t RZA’s first foray in a clothing line. Since its admittedly perfunctory origins, the Wu-Wear brand has devolved to the equivalent of perpetually available tour swag; 36 Chambers appears to be aiming for a more upscale market. Meanwhile, Azealia Banks has reportedly broken off her record deal with RZA, based on his reaction to an incident where actor Russell Crowe forcibly removed her from a party in his Beverly Hills Hotel suite. The two parties have wildly different accounts of the incident, and what transpired leading up to it. Although Banks was there at the invitation of RZA, it sounds like he didn’t leave with her following the incident.